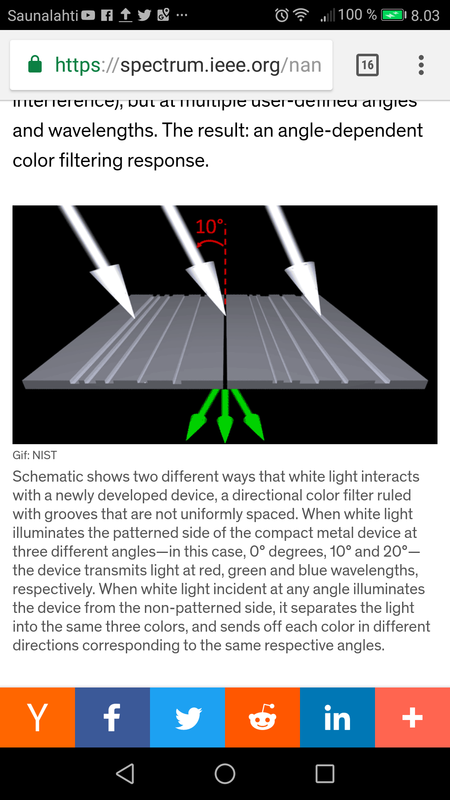 An international team of researchers has added a small twist to typical light filters. They’ve fabricated a nanoscale device that divides incident light into its different component colors based on the direction the light is coming from. They’ve switched from making filters with equally spaced grooves to an aperiodic architecture wherein the grooves are not equally spaced. The research is described in the journal Nature Communications. Agrawal believes that the incorporation of such devices on top of an array of CCD pixels or on top of multi-junction solar cells should be pretty straightforward.